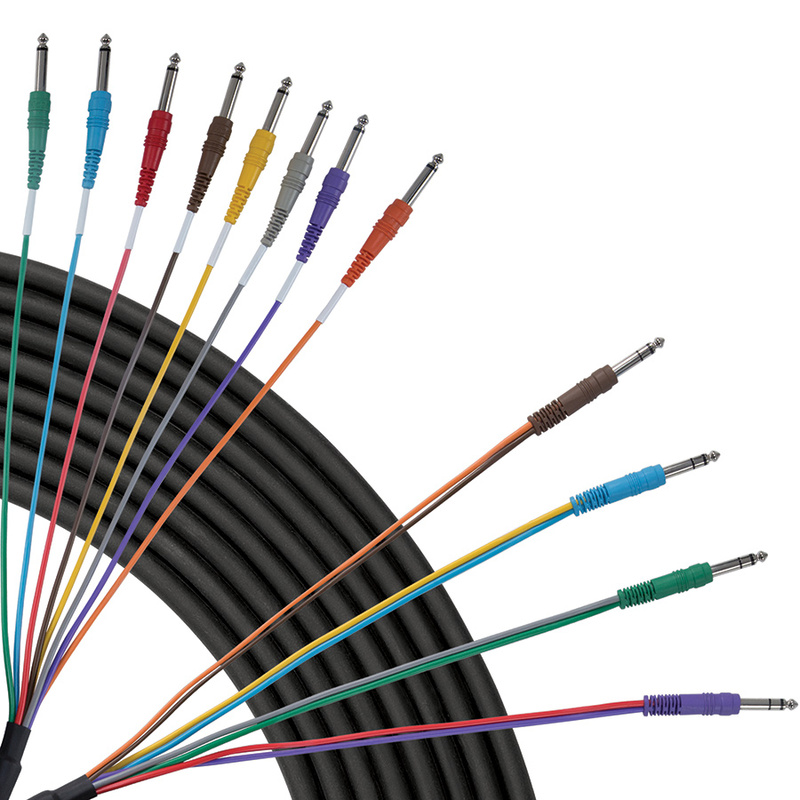 Livewire Essential S4YTQ studio snake features 4 unbalanced insert channels with stereo 1/4″ TRS tip ring sleeve send/return connectors to dual mono 1/4″ TS tip sleeve connectors. For use with patch bays, mixing consoles, rack cabling. Molded string relief. Guaranteed for life!